It's not too late to join. let us know you are interested. Your Creative Edge - is a multi-faceted approach to discover and hone that special thing that makes you and your business stand out! This 8 month program is part circle, part workshop, part master mind, part coaching and all action! Click here to email us to ask your questions or set up a time to meet on Zoom. ​Do you want to make connections, to collaborate and to create the business of your dreams in a way that is imaginative, intuitive and inspiring? Maybe you have an idea or a big project that, while not a business, requires that entrepreneurial spirit to bring it to life. Have you been searching for a way to stand out from the crowd without selling your soul or swimming out of your depth? It is exciting and challenging to start, grow and sustain a business. It can also be a steep learning curve, a challenge to maintain momentum and, at times, a little lonely and perhaps technologically frustrating. What if you could fall in love with your business all over again? What if you focused more on the parts that are working so that they continue to grow and sustain you? ​And what if, you could share in the expertise, experience, skills and support from others who truly want you to succeed? 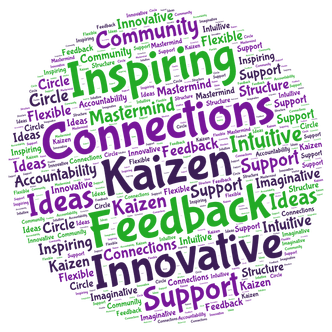 ​The Purple Ink Cafe is an imaginative portal that allows you to connect and collaborate from the comfort of your home. 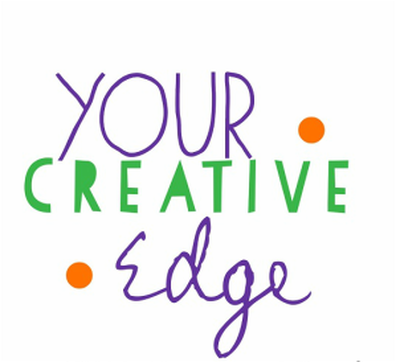 Your Creative Edge is a multi-faceted program with a focus on building your business/offerings from the inside out. It's about gathering ideas from experts during each month’s workshop/training. There are plenty of experts and we will invite those whose style and philosophy align with The Purple Ink Cafe. You will get to measure the information against your own values and personality and integrate what feels right and genuine to you. This will occur during the intimate master mind sessions and deepen in your personal one to one coaching sessions. And of course, you will take action. When the action is coming from your authentic self it will flow easier and attract those who want what you have to offer. That is your creative edge. 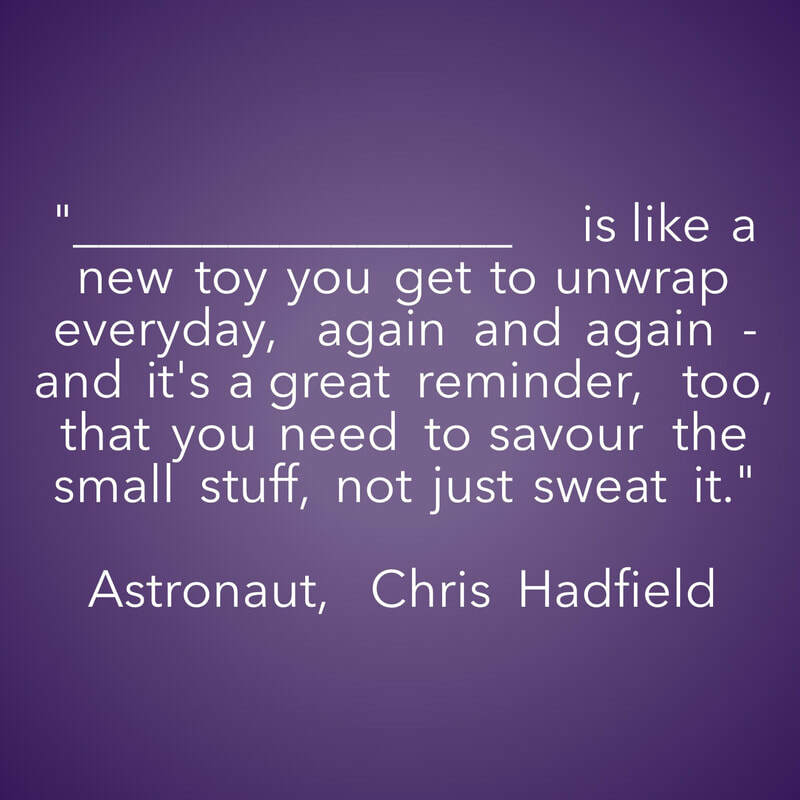 How would you complete this quote? What exactly is Your Creative Edge the program? If you think of your business as a tree, purposeful and beautiful, Your Creative Edge is the roots and trunk of the tree. The parts that ground you, nurture you, and provide you with structure and support so you can let your beautiful foliage unfurl in all its glory, attracting the clients just right for you. It's an intimate and facilitated gathering of like minded souls who each offer different perspectives, experiences and ideas. It's about making connections and collaborating from the comfort of your own computer. Using Zoom (a free virtual meeting app) you will enter The Purple Ink Cafe through the creative portal of your imagination to gather with other women entrepreneurs. ​PLUS it includes individual coaching with a certified master coach! It's all about taking inspired action in your business. ​your own uniqueness and acting courageously from it"
Perhaps you have looked to experts in the past to tell you "how" and then you got stuck because you were trying to do it their way - and their way wasn't your way. Your Creative Edge is built on the premise that you are unique and have something of value to offer. You might be just starting out in business or have been in business for years, but have yet to stand out. You are a soul-o-preneur, maybe a facilitator, a coach, an artist or artisan, a writer, a blogger, or all of these things - who needs the space and structure to take all that you know and and transform it into your way of doing business. A way that works because it is authentically you! You are a creative, intelligent and passionate woman who wants the most life can bring. You have a history, a passion, knowledge, a way of creating. You have things that you are good at; things to contribute and things you love. This program is designed to take all that and foster an intimate, imaginative, intuitive, introvert friendly, idea filled, inspirational, distraction free space for you to reach your goals. This is your time to make the difference you need to stand out and to shine; to really hone your creative edge and use it to your best advantage. When you join Your Creative Edge you will sharpen this edge. The edge you already have - that special something that makes you and your business stand out and your soul sing. When you complete this program you will have clarity around your offer(s), humming systems and a confidence that shines through in all you do. Sound good? Then let's talk about the cost of this investment. We are looking to gather the best possible group of women for this program. Your application is a way to share a little bit about you, your business or business idea and why this program, at this time, is just right for you. Send us an email. It doesn't need to be long. Just click the button below and get started. There is no cost to apply! A great value at $2564! Creative and flexible financing is available. We want you to be sure this is what you really need. Feel free to email us to ask for clarification, a question or to meet. "I showed up to the Purple Ink Cafe with an "ok, let me get through this so I can go back to hustling for ideas and make dinner" mindset, but left it completely altered. Being in the presence of other creative people seems to ignite the idea fires, and having a sympathetic group who understands your struggle helps you pull the solutions almost from midair. When I was in the Purple Ink Cafe with a few minutes of the group's attention, the ideas started flowing, without all the brain grinding I was sure I would need to do before joining the group. I was energized, enthused, amazed by the alchemy I'd just witnessed...it feels like friggin pixie dust. And the Purple Ink Cafe is just covered in it! Thank you Kathy & Mary for the wonderful group experience, and for reaffirming that this stuff does indeed work, beautifully." ​And of course there are bonuses! ​Plus a few surprises, that we can't tell you about - or they won't be a surprise! ​" There is a collective expertise and experience to draw on in our group, and it has been a revelation to see the insights that have come from that." Your Creative Edge is divided into 3 segments with a pause between each. The pause is an important time to focus on your business, your family or simply to take a break and rejuvenate. We start with a getting to know you and a tech call on Wednesday, January 31. These will be delivered by your facilitators and guest experts. It's also an opportunity for you to lead if you have a skill or expertise that would benefit the group. This is the heart of this program. Here you will dive deep into a specific area of your choice (perhaps furthering what was focused on in your coaching call). A KMI Master Mind™ is a master mind of a different colour. It's process focused and designed to help you build a sustainable momentum toward your goals. The K stands for Kaizen - a proven and effective way to make things happen with ease and joy. The M stands for Muse, to remind us of the creative principles that energize and help you to stand out in a positive way. And the I stands for infused. The alchemy of Kaizen and creative is a powerful force to activate your imagination, your intuition and inspire your to move effortlessly towards your goals. We will meet for an hour as a group but work on our own. The shared time and space brings a focus and gentle accountability to your work. You will be amazed at how the time flies and what you can accomplish. It definitely provides a momentum surge. Creative and flexible financing available. Have a question or would like to talk? Email us and let's connect. "It is totally amazing the value of this Master Mind!!! It's fun. We share challenges and solutions and you move faster forward with others along. Of course, enjoying the journey too. We are using all the fun KMCC tools. I am using it for professional business challenges as well as personal ones. We share resources. This was a good personal and professional decision for me." ​​​" There's something about our group that gets my mind thinking about things I hadn't really thought of before. Our group has become the highlight of my week. I enjoy what we share and learn and everyone is so supportive and positive." The KMI Master Mind™ is truly a master mind of a different colour. It is process focused - designed to ensure sustainable momentum towards your goals without feeling pressured, overwhelmed or thrown into comparison. provides the support and collaboration that keeps you inspired, motivated, and innovative. It lets you get ideas out of your head and into the world. It's gentle structure lets you fill up creatively for your project or business with ease and joy. It's an intimate community of creative women with resources, expertise and encouragement to share along with the ability to listen deeply as you share your thoughts and dreams out loud. These will be facilitated by the originators of this model. This is where the action takes place! Creative Work - Inspired Play™ is a focused time to take action on your work or to create space for creative pursuits that feed your soul and generate energy. It's shared and supportive space - each person focused on their own work while holding space and gentle accountability for each others. It can be an incredibly productive time. Creative Work - Inspired Play™ is a regular feature of every KMI Master Mind™. Additionally we will meet once each session for an extended CW-IP. "Thank you KMIMM for this booster shot of clarity and support. Your program helped me to successfully achieve a desired goal and allowed me to add gentle support to others. This win-win program is packed with effective tools, aha moments and compassionate interaction." Love to collaborate with other women in an intuitive and imaginative setting. Know that your gifts and what you have to offer contribute value and a meaningful experience for everyone. Listen closely to your intuition. Ask us questions. ​We want this to be the best program for you! ​If the answer is YES, click the button below to apply. We are looking to gather the best possible group of women for this program. Your application is a way to share a little bit about yourself, your business or business idea and why this program, at this time, is just right for you. It doesn't need to be long - just click on the button below and send us an an email to get the process started. ​There is no cost to apply! Kathy brings the business and organizational skills of 35 years in corporate management along with the experience of finally breaking out onto her own. As a proprietress at The Purple Ink Cafe she facilitates KMI Master Minds™, leads Writers' Circles using the Amherst Writers and Artist workshop model and feeds the purple spark of creativity found at the cafe. She's a KMI Master Mind™ founder, facilitator and instructor as well as a blogger and a Master Kaizen-Muse™ Creativity Coach. Her practice is focused on helping people uncover possibilities and navigate life transitions with grace, joy and eyes wide open. More here. Mary has over twenty five years experience in program development, training and workshop facilitation. Working in both the non-profit and for profit world before transitioning to a soul-o-preneur. Her playful and imaginative spirit shines in her role as a proprietress at The Purple Ink Cafe. Mary's work blends the principles of Kaizen and creativity in ways that let her clients experience greater productivity, expanded possibilities, idea generation and elevation with more energy and zest for life. She is a KMI Master Mind™ founder, facilitator and instructor, Creative Strategy Coach, Modern Day Muse™ Group Facilitator, Master Kaizen-Muse™Creativity Coach, and a Master Kaizen Creative™ NLP Practitioner. Learn more here. Your Creative Edge is an opportunity to strengthen your creative muscle - the part that helps to distinguish you and what you offer from the crowd. As a facilitated and intimate gathering of like-minded women your voice, your ideas, questions and concern won’t be lost. Focus on what you want to accomplish - to find and hone your creative edge. ​Take the first step and apply now. Click here to go to our FAQ page.